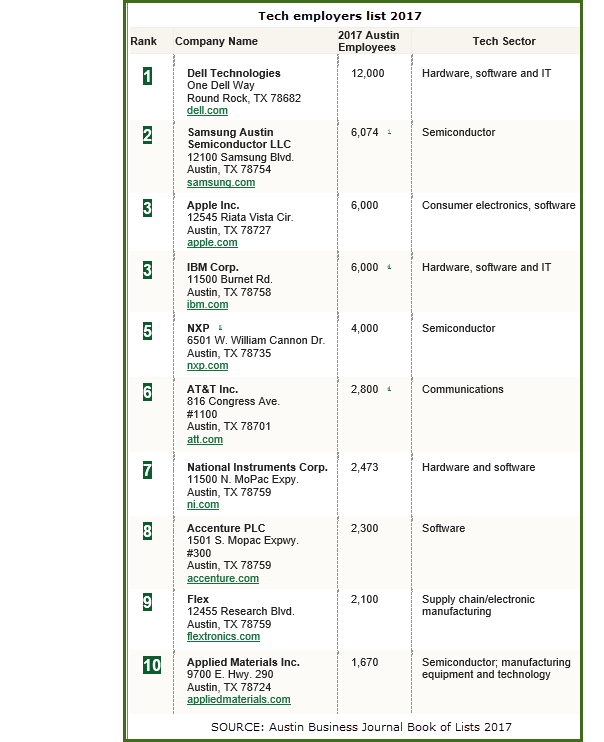 ​​​AUSTIN – The 2017 list of Austin's tech employers includes a wide array of companies from software to biotech. Data are compiled from various ​​Austin Business Journal (ABJ) list surveys during 2016 and 2017, local news coverage and company websites. Ties are listed alphabetically. For the entire list, please see Austin Business Journal's Book of List. Note footnotes in entire list.